Each panelist, all of whom have experience as adjunct faculty members, adjunct coordinators, or both, discuss ways to create community for and among dispersed faculty (adjuncts faculty member and others, such as online faculty who don’t have an office or maintain a regular presence in their department or offices). Dr. Aimee Berger, herself a long-time adjunct faculty member and Director of Faculty Programs at Cengage Learning, moderates the panel. 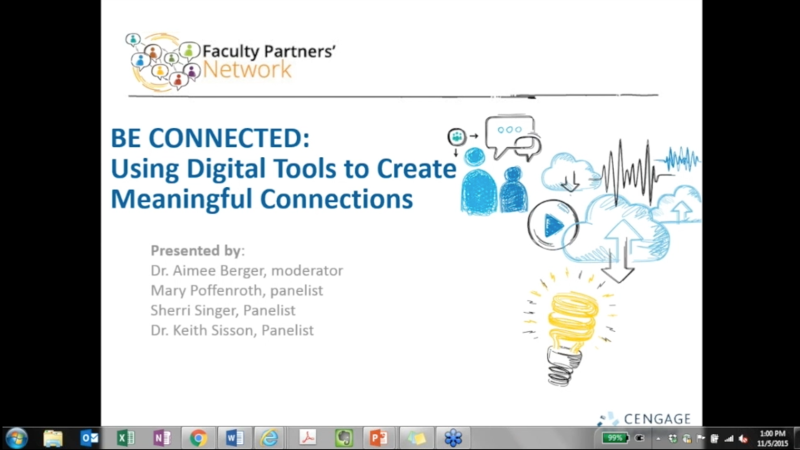 This webinar provides at least 10-15 minutes of interactivity via chat for participants to ask questions, gain clarity, and share their own ideas for helping adjunct faculty members stay connected.